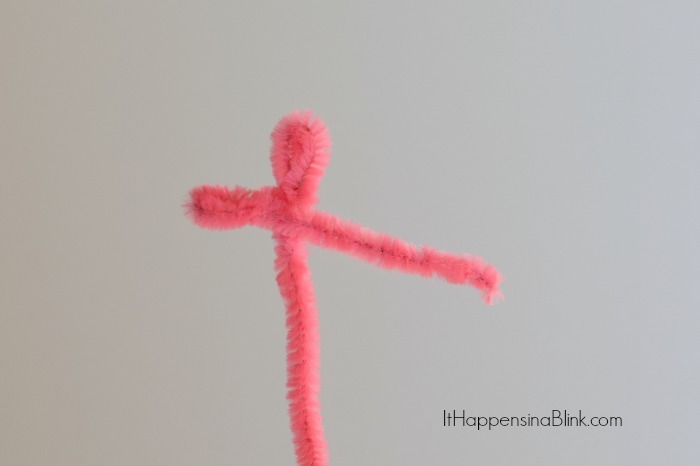 Have a pencil and a pipe cleaner (a.k.a. fuzzy stick)? 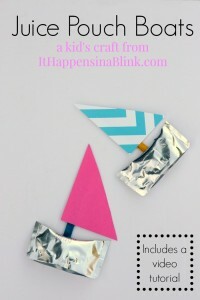 Then I have a quick and easy craft for you today! 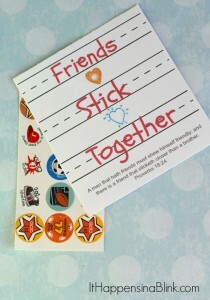 Keep this one on tab for your children’s church, Sunday school, and Vacation Bible School craft ideas. 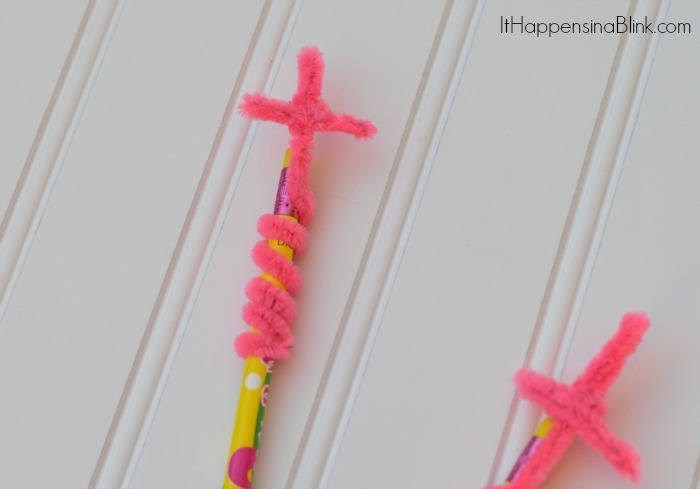 Purchase the pencils and fuzzy sticks in bulk to save even more money on these Easy Cross Pencil Toppers. A special thanks to Family Christian Stores for supplying the pencils for today’s craft. 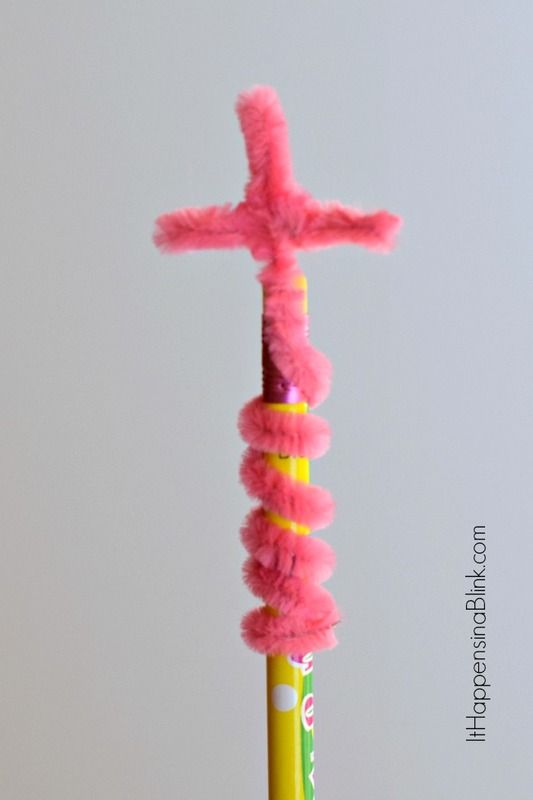 One fuzzy stick per pencil- thanks to CraftProjectIdeas.com for supplying today’s fuzzy sticks! 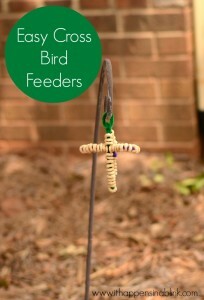 This craft is better suited for older children. Younger children in the 3-4 age range may have difficulty with a few of the twists, but feel free to try it with that age group if assistance is available. 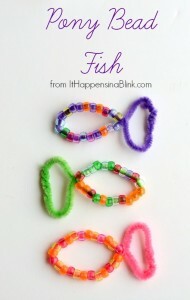 Begin by making a loop on one end of the stick, leaving approximately a two inch tail. 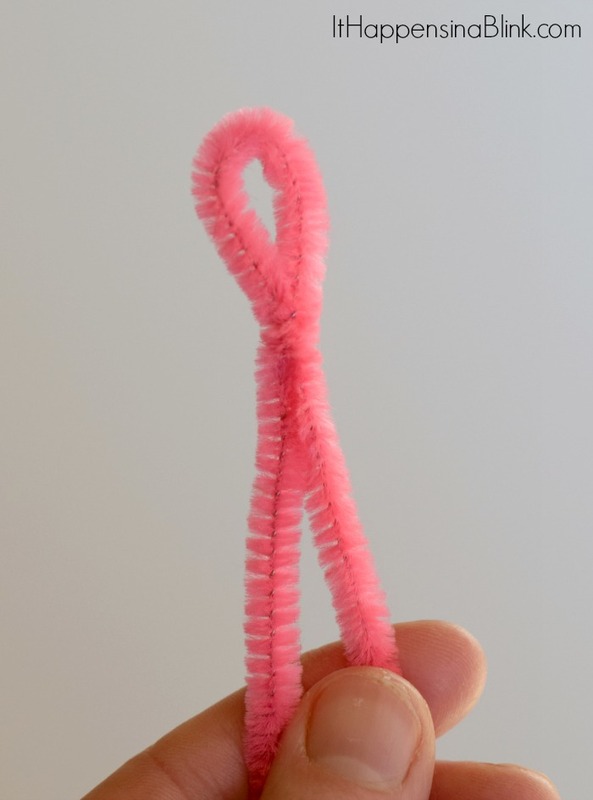 Fold the tail portion of the stick (the short portion) in half, bringing the end across the loop twist. Fold the remainder in half again, bringing the short end to the back of the stick. Secure it to the back by twisting it around the back of one of the loops. Take the long portion of the stick and wrap it around the pencil. 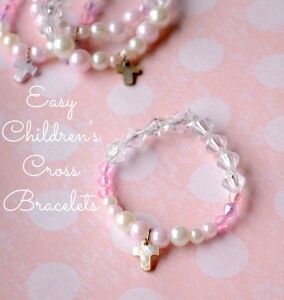 It took a few tries for me to get the cross portion exactly the way that I wanted it. 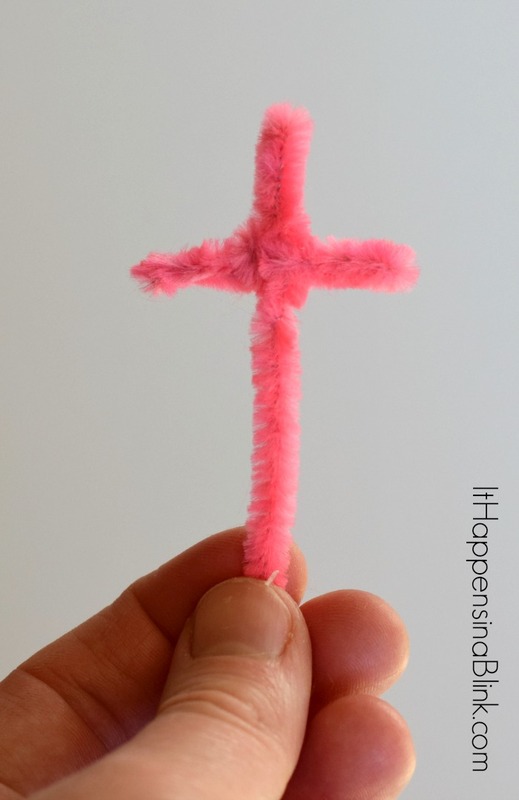 The great thing about the fuzzy sticks is that they are pliable and can be reworked several times. Keep twisting and maneuvering until you achieve the look that you want! 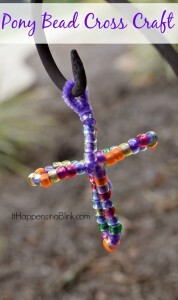 Looking for more Bible themed crafts? Try one of these! 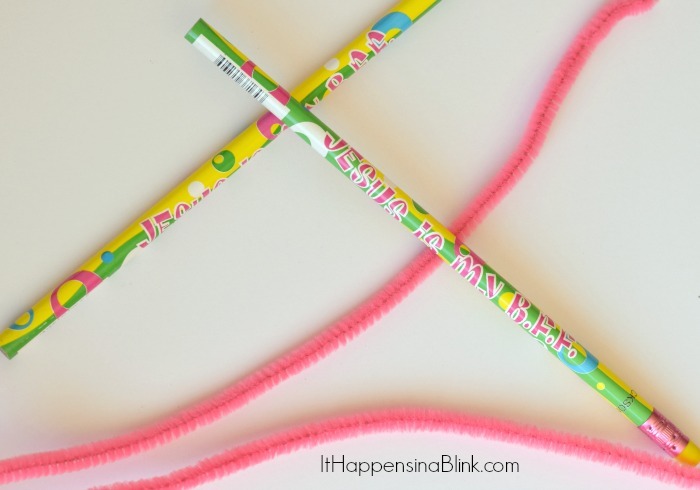 Embellished Pencil Pouch & Family Christian Giveaway!